Scott Hanselman wrote a nice blog post back in January about some of the issues you might face running Windows on a High DPI screen like that of a Surface Pro or Lenova Yoga. I'm kindof mystified that he didn't mention Remote Desktop though because thats been the number one problem for me on High DPI screens. That said, if you remote into very recent Server OS's like Windows Server 2012 R2, then apparently Remote Desktop will sort out the DPI scaling automatically. Perhaps Scott hadn't noticed the Remote Desktop issue because he only remotes into Server 2012 R2. Certainly if I was Scott, I wouldn't remote into anything less than that. But, in practice, I regularly have to remote into Server 2008 machines and yes even Server 2003. If you do that from a high DPI screen, the remote desktop is rendered at regular pixel size, which makes everything tiny. The Windows RDP client has 'Smart Scaling' - that will let you scale a desktop down to display a large amount of desktop in a smaller box ... but it won't let you scale up to display a smaller-res desktop in a larger box. 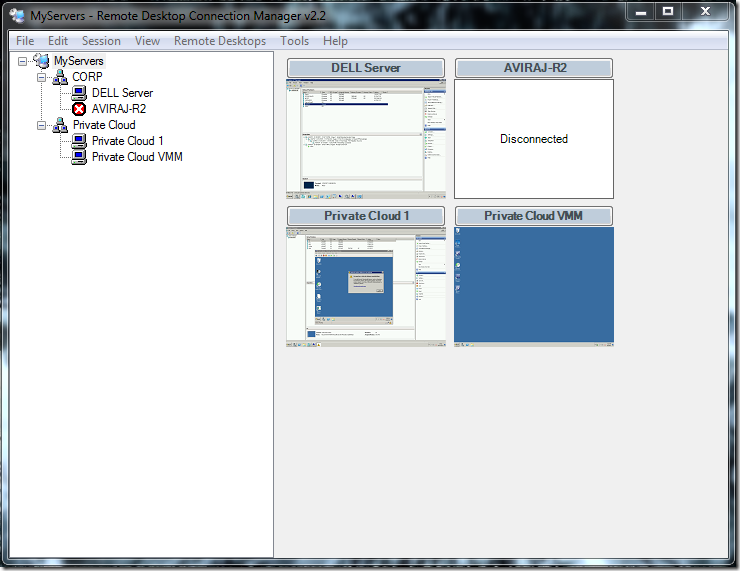 As you can see, the remote machine now appears within the Remote Desktop Connection Manager client area, but it is rendered at a much more usable scale. Thanks to Falafel Software's blog post for pointing me in the direction of this solution. 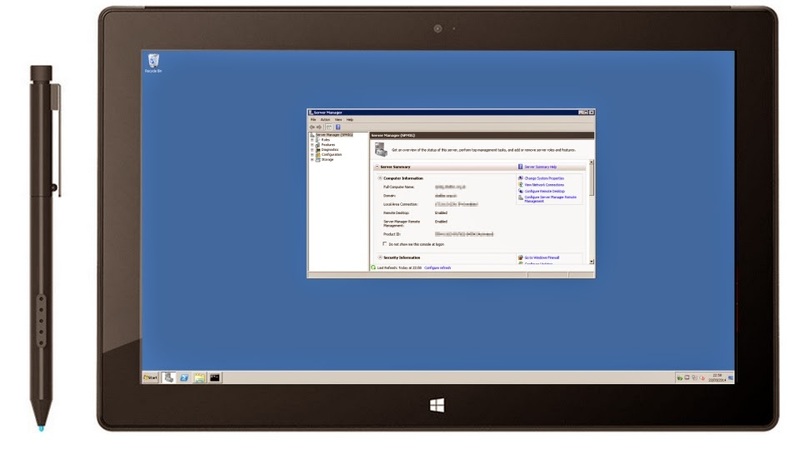 Edit (July 2015): This is a Windows 8 solution, it wont work on Windows 7. Also, there is now a newer version of Remote Desktop Connection Manager (2.7) that doesn't fix scaling as described here. So you need to get the 2.2 version (linked above) in order for this to work. I'm definitely going to give this a try. This might actually save my eyes. This doesn't work (using Windows 7), using a Dell 24" 3840x2160 display. There is no scaling at all. Hi Max, did you try selecting 'Same as client area' option in the settings (in screenshot above?). It works for me, perhaps its a Windows 8 only thing. Hi Ian, thanks for your response! Yes, I tried that 'Same as client area' setting. Also, my Text size settings is set to 125%. Oh well! If I upgrade to Windows 8.1 I will try again! This fixed the scaling issue, but when in fullscreen how do you access the onscreen handwriting pane? I have been having nightmare for this problem. And installing remote desktop connection manager really helps. Thank you so much. My remote desktop requires a smart card for authentication. Is there a way to get Remote Desktop Control Manager 2.2 to use a smart card? also here, this doesn't work (using Windows 7). There is no scaling at all. Is there any trick to it? David.P - This only works for Windows 8 I'm afraid, wont work for Windows 7. Version 2.7 still works too, it just disables the DPI scaling by default, but it still is an option. If you browse to the location of RDCMan.exe. (C:\Program Files (x86)\Microsoft\Remote Desktop Connection Manager) by default. Right click RDCMan.exe select properties, select Compatibility tab and uncheck "Disable display scaling on high DPI settings". 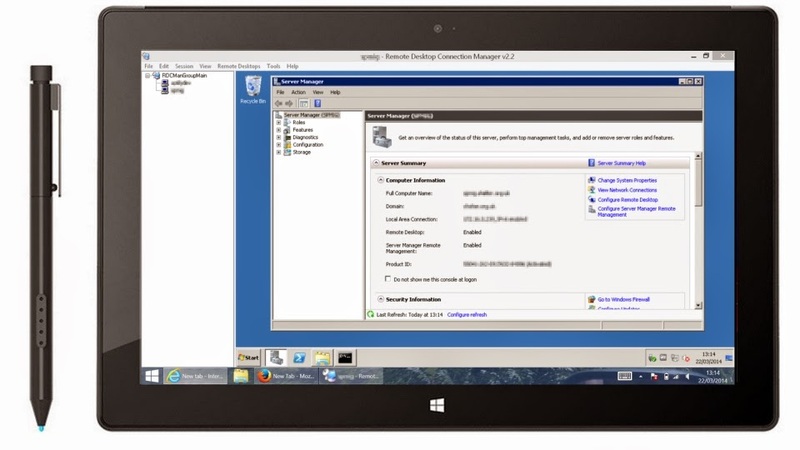 Same problem here with Server 2012 and Surface 4. M$ RDP picked the resolution of the surface. I cant see anything. The best solution was to install Royal TS. I even have since version 1.8 a licensed version. Best software for RDP connections managing. 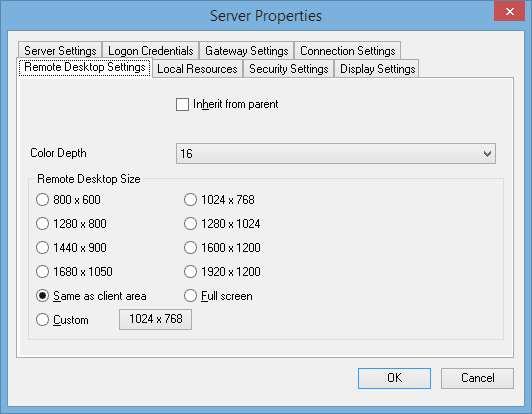 Have you tried using R-HUB remote support servers http://www.rhubcom.com/v5/remote-Support.html on Windows high DPI screens? If not, then I would recommend try it out. It works well.